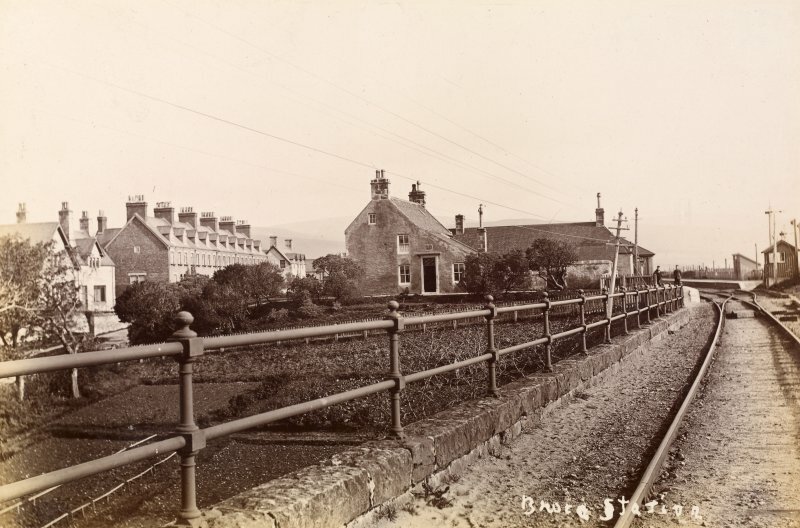 View of Brora Station, Brora. 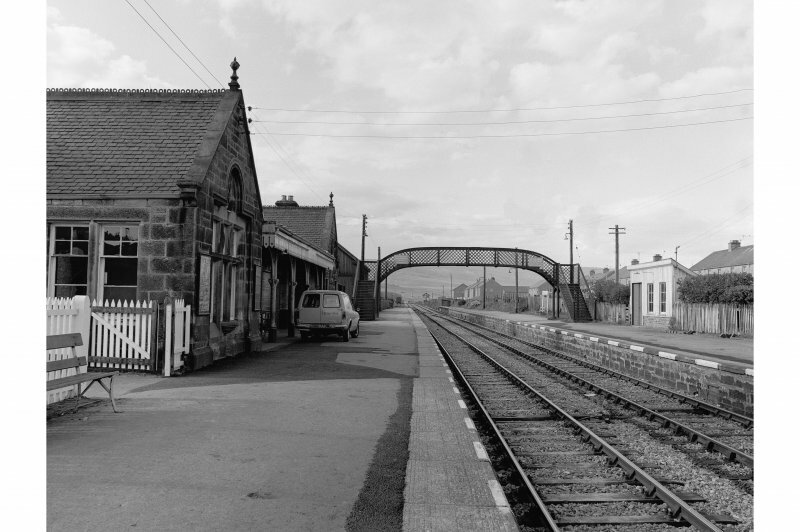 View of south signal box, footbridge and tracks, Brora Station. (Location cited as NC 907 041). Brora Station, built 1895 for the Highland Rly. A two-platform through station, with the main building on the down platform.This is a single-storey structure on a U plan, with an awning filling the U. On the u platform is a small wooden shelter. A lattice-girder footbridge links the platforms. The goods shed (NC90SW 11.01) is of the normal wooden platform. 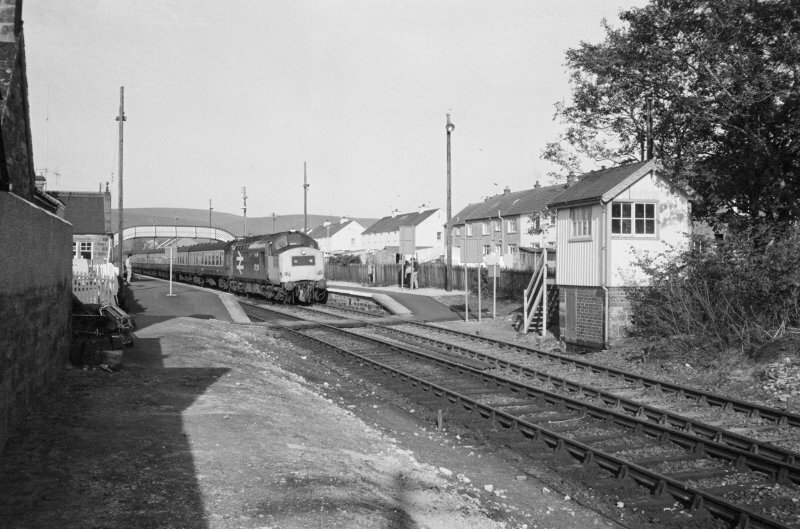 This intermediate station on the Inverness - Georgemas Junction - Wick and Thurso ('Far North') line of the former Highland Rly. It remains in regular passenger use. 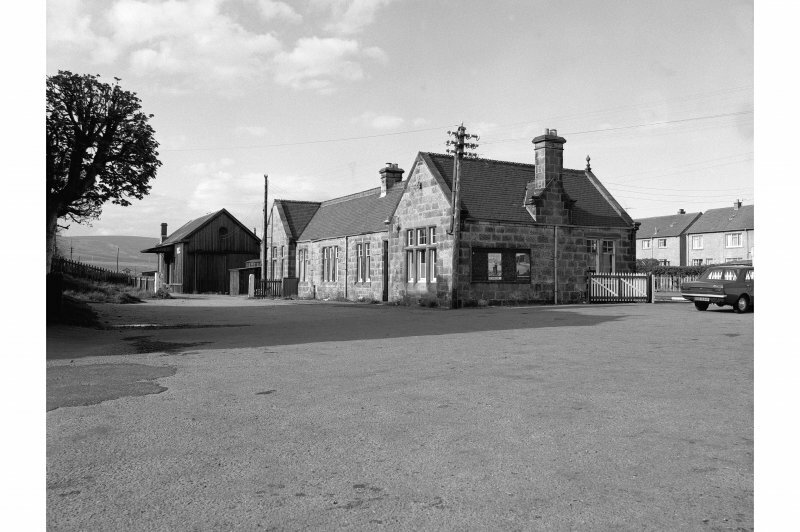 This railway station was built in 1895 for the Highland Railway and consists of a two-platformed through station, with main building on down platform. This comprises a single-storeyed grey sandstone 'U'-plan building with a slate roof, an awning filling the 'U'-shaped area. There is also a wooden goods shed just to the NW of the station (NC90SW 11.01) and a lattice-girder steel footbridge on the N side of the station building. Visited by RCAHMS (MKO), 23 June 1997.